Hyatt Centric Tower - Kramer Gehlen & Associates, Inc. 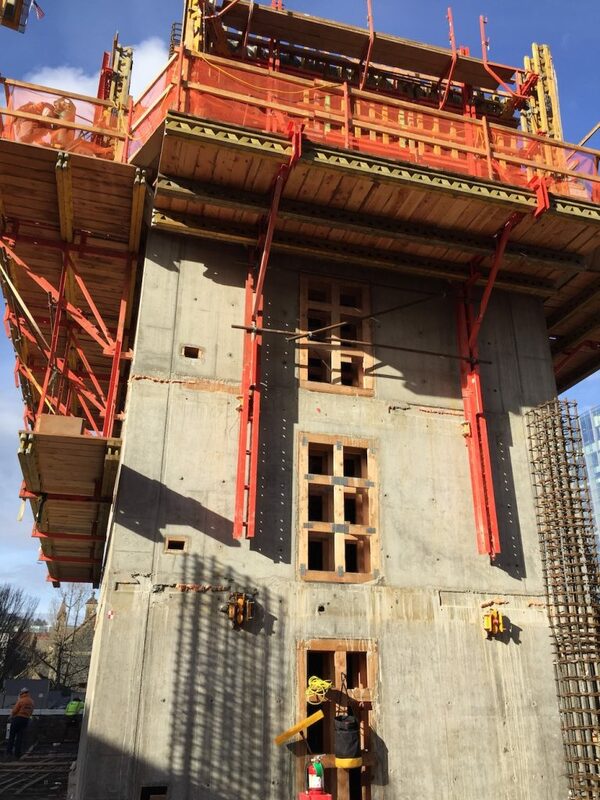 Downtown Portland is getting a new tower! 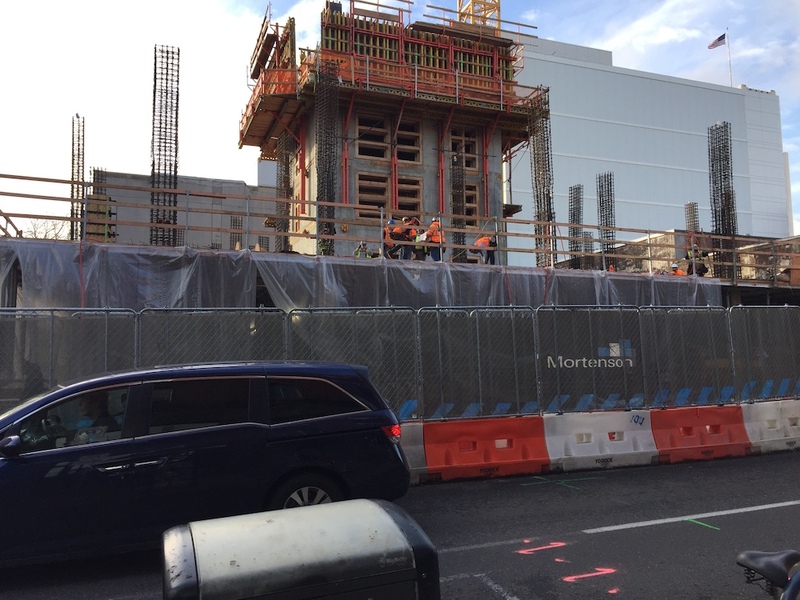 The reinforced concrete Hyatt Centric Tower is starting to rise above ground level. 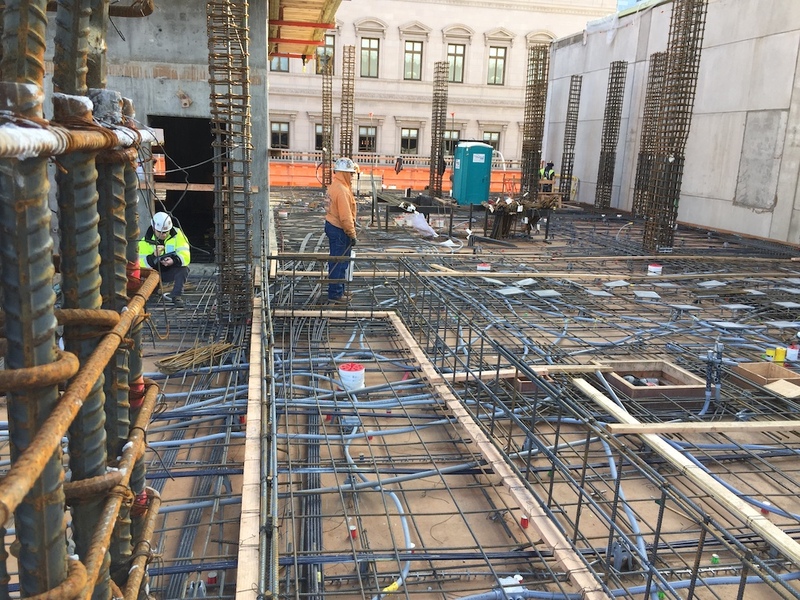 Check out the photos to see how the reinforced concrete shearwall core is being slip-formed ahead of the reinforced concrete post tension slabs.